We're getting closer and closer to the release of Tonight Alive's 3rd album! March 4, 2016 can't get here soon enough. "How Does It Feel?" is the second "official" single, and the 4th overall song to be released from the album. Excited yet? Well there's a good reason to be, but you'll have to read the rest of the review to find out why. Click this (link) to buy the song on iTunes and preorder the full album. Of their new album, lead singer Jenna McDougall said, "Everyone said, 'this sounds like the last record' and that was the last thing we wanted to do... to me there is also a river that flows through all of our records that contains the same water." And while one may miss the band's Paramore style pop punk days, there's something about this new edgier TA that intrigues listeners. "How Does It Feel?" is the single fans have been waiting for. Like "To Be Free" it rides the wave of success the band achieved after releasing "The Edge". There's a much stronger electronic presence, but those aspects don't detract from the music in anyway like they do in some bands. 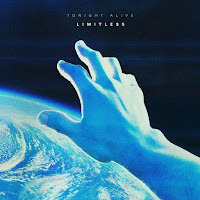 Tonight Alive and producer David Bendeth limit the use of electronics to backgrounds, and filters on McDougall's voice. They're accents, not the focal point. The song starts out with a sleek guitar riff, then layered on are the electronics and McDougall's vocals. 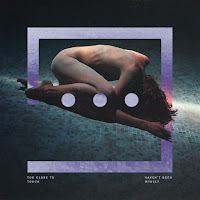 The heavier and somewhat futuristic feel to the track is a great surprise. This isn't the kind of song you play on Warped Tour. You'd play this for a stadium, that's how big it is. Structure-wise this is a pretty textbook alt. rock number. Hard hitting guitars and drums during the intro and chorus give way to muted verses and bridges. Comparing the song to previous records, "How Does It Feel?" pales next to "Lonely Girl" and "Breaking and Entering". But that being said, this is still by far the best song from the album thus far. If the band had incorporated more of that sweet piano outro into the rest of the song, maybe "How Does It Feel?" would have earned some more points. Is this the Tonight Alive fans have been waiting for? Perhaps. Their 3rd album is shaping up to be their most "mainstream" yet. Making the bold move from pop punk to alt. rock to electronic rock, Tonight Alive prove they can still capture the attention of fans old and new wherever they go. This should have been the first single the band released. 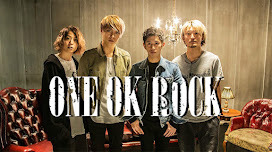 It renews fan interest, and is a much better transition from their previous sound to their new sound. So if you're planning on introducing a friend to the band, pick this track. It's the gateway to five years of great music.